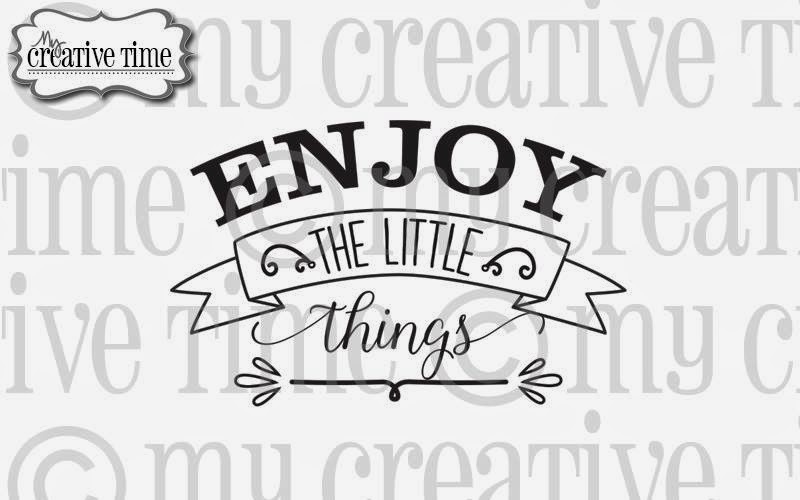 Welcome to the My Creative Time 42nd Edition Release Blog Hop! You should have arrived here from the very talented Jessica. If you just happened upon here, you might want to head over to Emma's blog, to the beginning of the hop. This is a very fun release, and I hope you are as excited about it as we are! 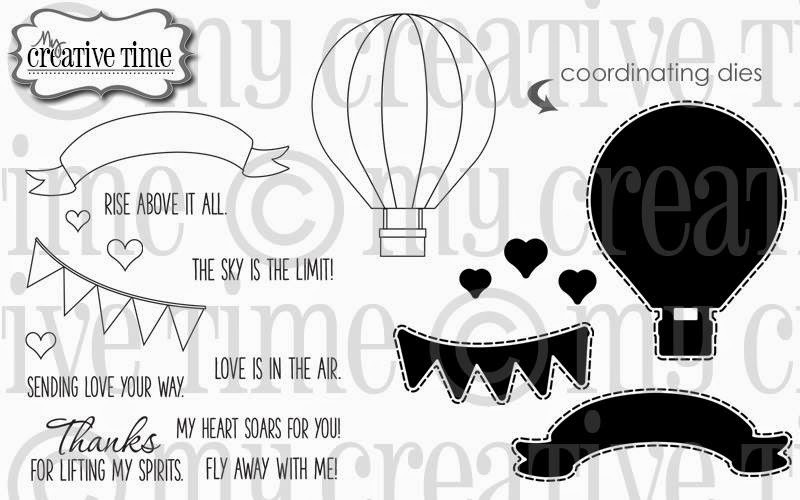 For my project today, I created a fun 3-D hot air ballon with new The Sky is the Limit stamp and die set. I first die cut the balloon in kraft and stamped the coordinating stamp on it. I then die cut it three more times out of the rainbow chevron pattern and trimmed off the basket. I scored each of these down the center and sewed them together down the score line. After adhering the bottom of the three to the kraft balloon, I folded up the top two layers to get the 3-D effect! The layers on my card base were made with the Stitched Rectangular Frame Dies & More, and I stamped a sweet sentiment from The Sky is the Limit onto the patterned layer. 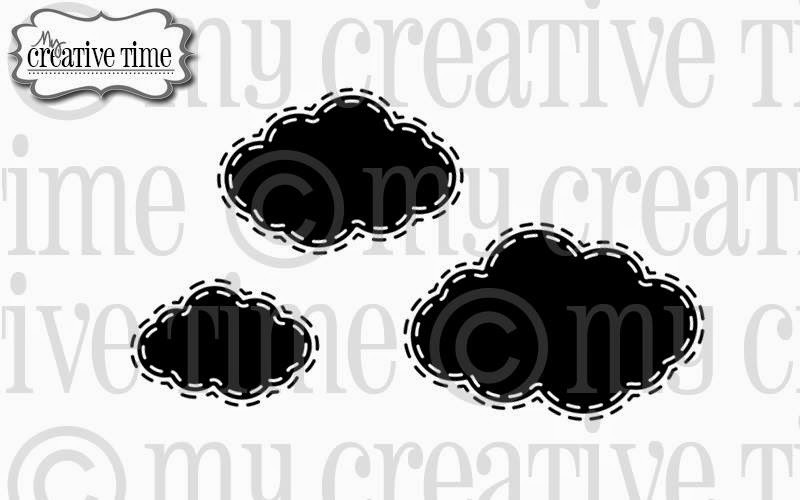 Some cute puffy clouds made with the new Fun Stitched Cloud Dies finished it off! Here's a closer look at the new sets I used on today's projects. They are available for purchase now in the My Creative Time Store! For our "Freebie" stamp for this release, we are giving away this ADORABLE stamp, "Enjoy the Little Things..." to the FIRST 150 shoppers! You do NOT have to add it to your cart; Emma and her shipping crew will automatically include it in your package, but ONLY to the first 150 shoppers! IF you happen to come through AFTER the 150th shopper, no worries because this will be available for sale! Emma knows there will be questions on whether YOU made the first 150. After the first 150 shoppers come through, then you will see this set available for purchase along with the new release items! Just keep in mind, this stamp will not be included with the bundle. It will be sold separately! Also, DON'T FORGET our sale that is starting RIGHT NOW here! Use the code APRIL2015 to receive a discount off your entire purchase! This sale applies to "IN-STOCK" items ONLY. This sale will end on Friday, April 24th, at midnight PST. You are very creative! I love your hot air balloon sample! Katie, the balloon is amazing the way you made it. Awesome design. SOOO CLEVER!!! I LOVE IT Miss Katie!!!! THANK YOU for your AWESOME sneaks this week!!!!! LOVE it!!! The 3D hot air balloon is FAB!!! Once again, you've worked magic with this new release, showcasing them with stunning creativity here (love your 3D balloon) and over the past week, that make clear I *need* these products! Awesome-ness! beautiful idea for the balloon looks so funny and amazing! Katie ~ SHUT the FRONT DOOR! I ADORE this card! LOVE, LOVE, LOVE the dimension you gave the hot air balloon ~ so COOL and CREATIVE!! I am so barrowing this idea!! BEAUTIFULLY done all week! WOW!!! Your card is absolutely beautiful. I love how you made it a 3D card. Thanks for always inspiring me! OMG Miss Katie....WOW I love your card is so Fun and cute....You so outdid yourself and definitely came up with a super outstanding clever and creative idea WOW and love the paper you used it's so bright and cheery.....Your sky scene is so awesome. Great ways to use Miss Emma's goodies. You ROCK!! Too cool!! I love how you made your balloon. AWESOMENESS!!! I love what you did with the hot air balloon. It really pops off the card. The paper you used is great. Wow! Your balloon is beautiful! Absolutely love your balloon. The chevron is perfect. Just beautiful. Super cool card! The balloon look amazing! Very creative idea! Love it! Wow! Did you ever get clever with your sewing machine :D I love this idea and I love the rainbow chevron paper...perfect for hot air balloons. Wonderful job. What a fun card! Love the 3d balloon. Love the chevron paper as well! Fabulous card! I love hot air balloons, and yours is so pretty with its 3-D elements. I love the 3-d affect on the balloon. Great job! A Fabulous dimensional card! Great job lining up the chevron pattern too! Love the colors and 3D effect of your balloon. Cute--I like the paper you used on this 3D balloon. How super FUN is your card Katie!!! LOVE the added dimension on the balloon!!! Love your dimensional hot air balloon. 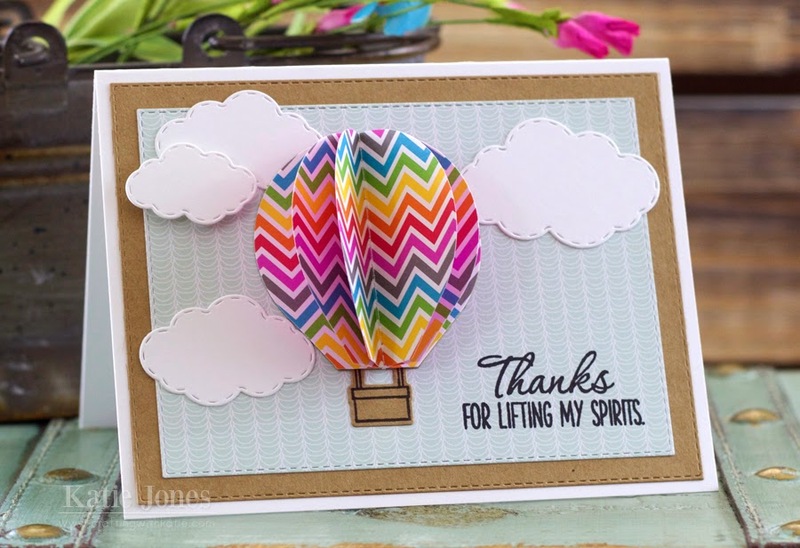 Thanks for sharing your terrific hot air balloon card. This is fantastic, love the 3d balloon!! Awesome 3D hot air balloon. I adore the rainbow colors you used. The clouds are perfect for your scene. katie, this is so creative, the layers of the balloon are awesome!